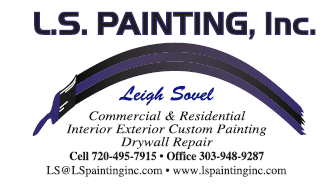 Painting Contractor | Littleton, CO - L.S. Painting, Inc. Your Reliable Choice in Painting Serving the Littleton, Highlands Ranch, Denver, Boulder & Surrounding Suburbs for Over 30 Years. Our Commitment to our Customers, L.S. 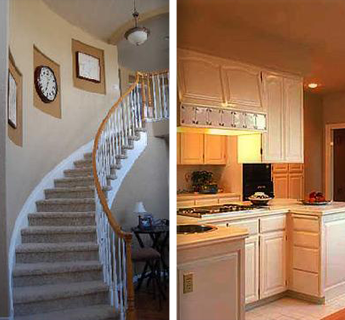 Painting's skilled craftsmans use only top of the line painting products. We provide our clients with lasting paint and stain solutions for all new construction, remodeling, and renewal projects. And we do this using affordable and competitive pricing. Make your home, apartment, or building look new again with our interior and exterior painting at affordable rates. We provide lasting paint and stain solutions for all new construction, remodeling, and renewal projects. This includes staining handrails and saving you up to 70% on the replacement cost of kitchen cabinets. Our highly experienced estimator will come visit your property to evaluate the extent of work required for each job and give you a free estimate. For general contractors, we bid on blueprint take-offs online or from prints supplied. Reach us via email or text 24/7 to schedule an estimation appointment today. 30 Years Specializing in Residential & Commercial Projects. Experience makes us leaders in our field. “We are a Family Owned Littleton Based Company”. Serving all of Colorado- Littleton, Castle Pines, Highlands Ranch, Lone Tree, Castle Rock, Boulder, Golden, Longmont and the Denver Metro Area. Other States include Wyoming & Kansas. Our estimators will be glad to visit your home or business and give you a FREE proposal on your project. L.S. Painting, Inc. is a small, family-owned painting contractor, fully insured business, guaranteeing clean, quality work for residential or commercial customers throughout the Denver metropolitan area and surrounding suburbs. We offer an in-depth look at all painting services provided by our skilled craftsmen who only use top-level products from local retailers. 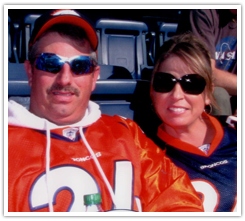 Our owner is a native of Littleton, Colorado, that has built this community-based company on excellence and reliability. Our family looks forward to working with you. When leaving a message, be sure to mention the best time to contact you.